Low Cost Lathe Chucks From Major Manufacturers! Call Or Email For Discounted Prices! Click Here To See How To Convert Any Chuck With 2 Piece Jaws To A Quick Change Chuck! 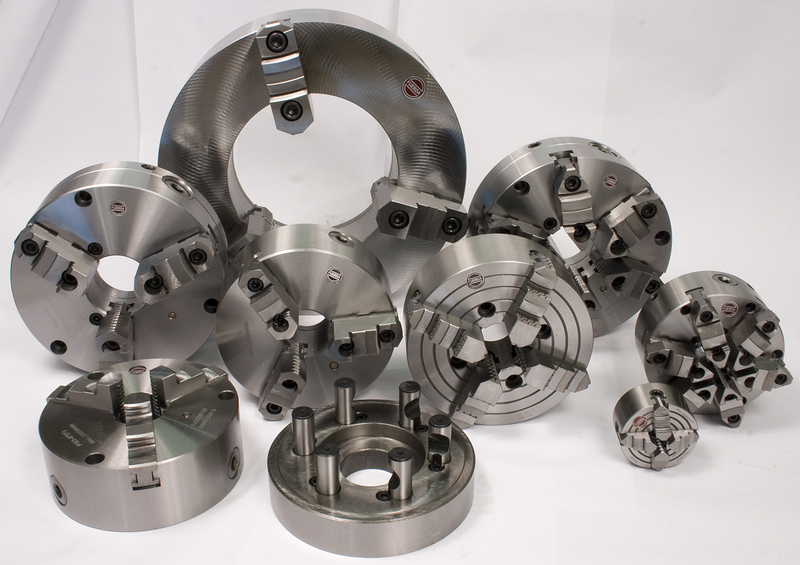 We offer quality precision lathe chucks from most major chuck manufacturers. Our list of Manufacturers includes Atlas, Bison, Btc, Cushman, Gator, KCM, Pratt Burnerd, Strong, and TMX. Manual and power actuated chucks are available in either semi-steel or forged steel chuck bodies with 2-Jaw, 3-jaw, 4-jaw and 6-jaw options. Expert consultation is available upon request.